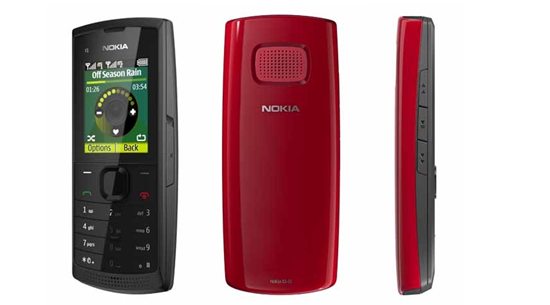 Nokia recently announced two dual-SIM handsets, the Nokia X1-01 and the Nokia C2-00. Nokia promises that these phones offer a Dual SIM experience “superior to any other models on the market, remembering the settings for up to five different SIM cards – and with no compromise on battery life, music features or messaging”. Nokia’s handsets are Dual-Standby, which means you can always receive notification of calls and messages on each account rather than having to switch your SIM cards on and off. 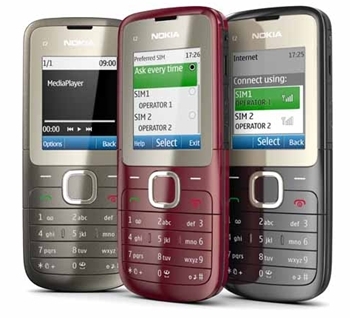 They also offer long battery life, up to 43 days standby time and 13 hours talk time on the Nokia X1-01, and 9.2 days standby time, with 5.75 hours talk time for the Nokia C2-00. Lets take a closer look at Nokia’s dual-SIM babies. MP3 music player with dedicated music keys and one-click creation of a favourite playlist. The Nokia X1-01 and Nokia C2-00 will be available soon in the Philippines. The X1-01 will retail for about Php2,500 and the C2-00 for about Php3,500. Dual-SIM phones have been available in the Philippines for a long time, and it remains to be seen how Nokia’s versions stack up against these dual-SIM phones. My guess is that Nokia’s phones will sell well considering Nokia’s reputation for building sturdy and reliable handsets. If you can’t wait for this to be launched in the Philippines you can ask your relatives in Singapore to buy one for you. It only cost S$50 there. wow cheap. so its already available there?